Before Photo – Yes, it’s dark and lacking in personality, but the bones of a beautiful room are there. 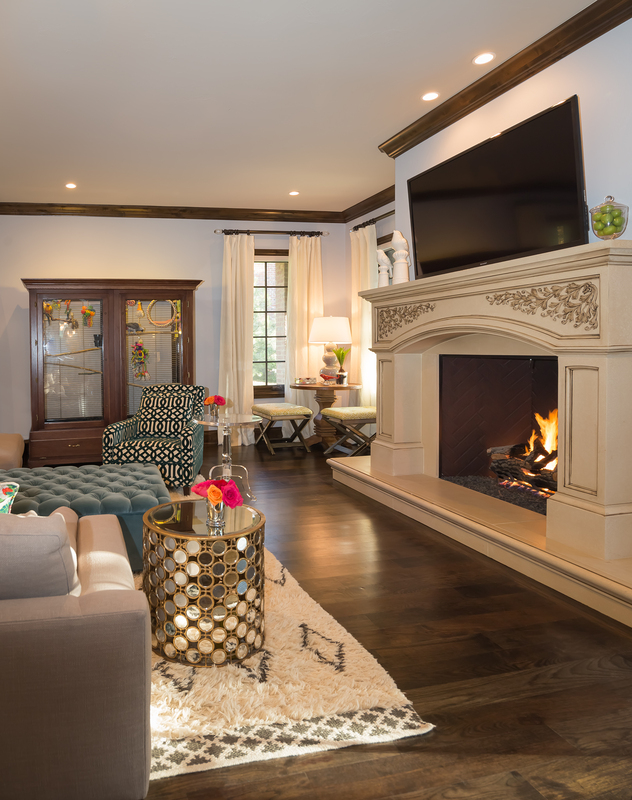 Symmetrical windows, great wood trim, wood flooring, large fireplace…The client has great taste and just needed a fresh look – most of the furniture in the room is hand me downs and things that made sense in a much smaller home, but not so much in this room. 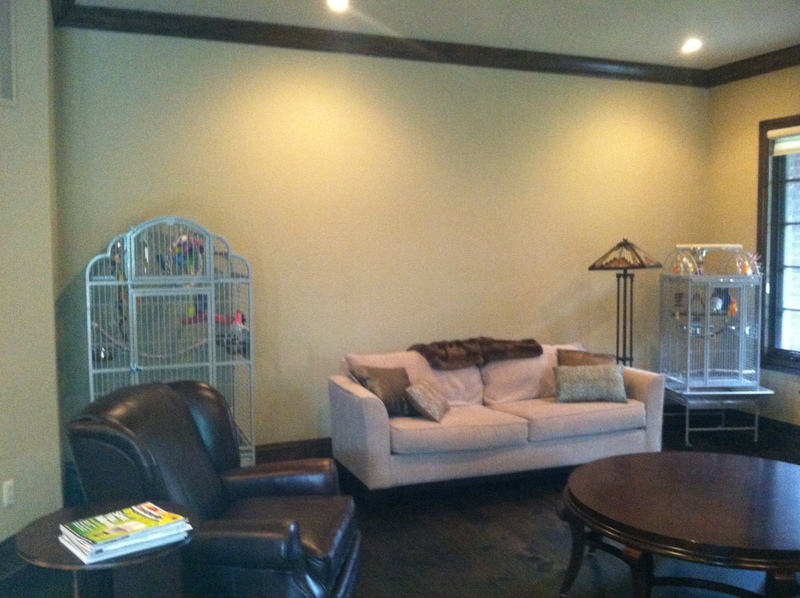 After: We had a custom aviary made for the birds to match the woodwork in the room. 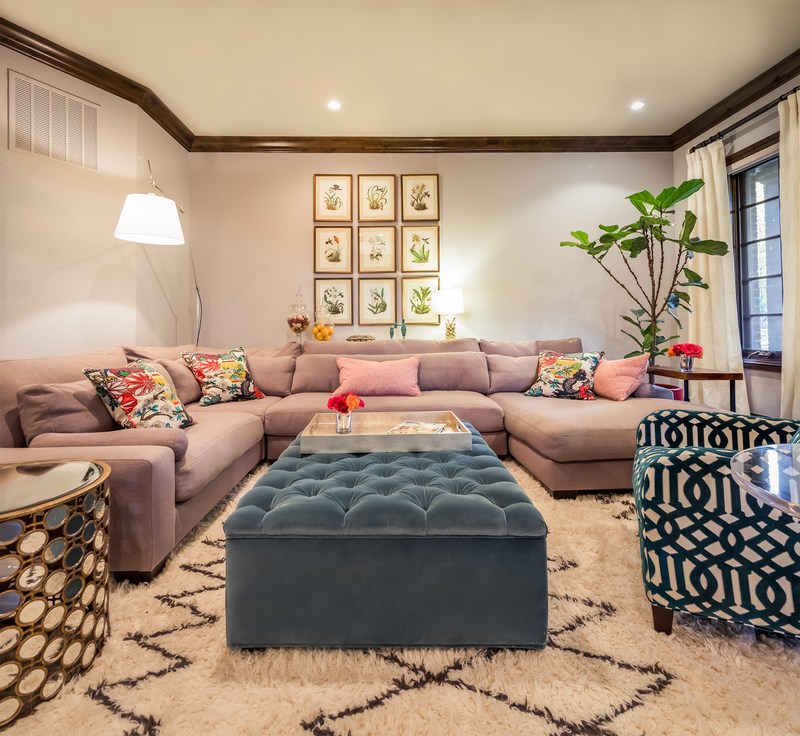 White linen drapes, a new wall color, a rug and a new seating arrangement help with the transformation. 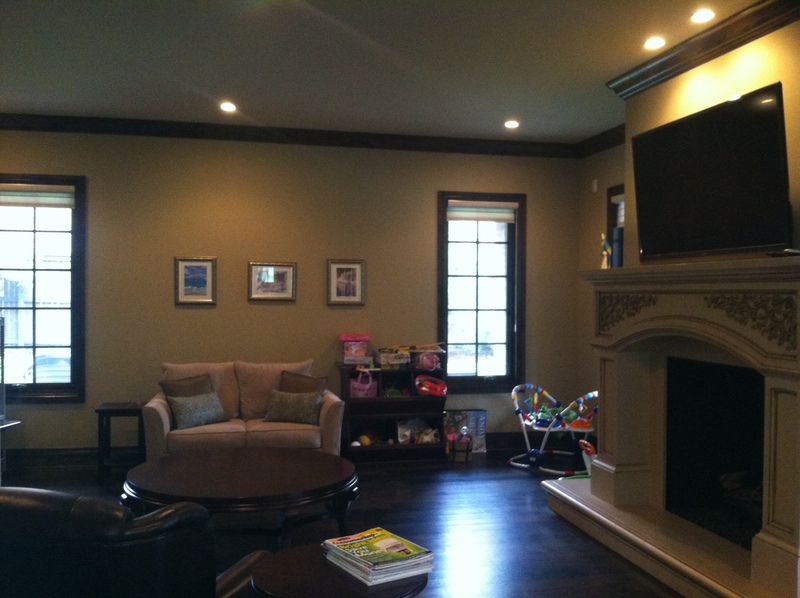 This room is larger than it looks – it takes a lot to make it feel comfortable! Before Photo with the old aviary’s and furniture. We found Amazonian hummingbird botanical illustrations from a dealer online and had them framed locally. The locally made, custom ottoman opens up for storage. The fiddle leaf fig is tree number 2 – it’s doing better than it’s predecessor but required a lot of research on behalf of the client. A trick I used in this room to help make it more cosy was to pull the sofa away from the wall. 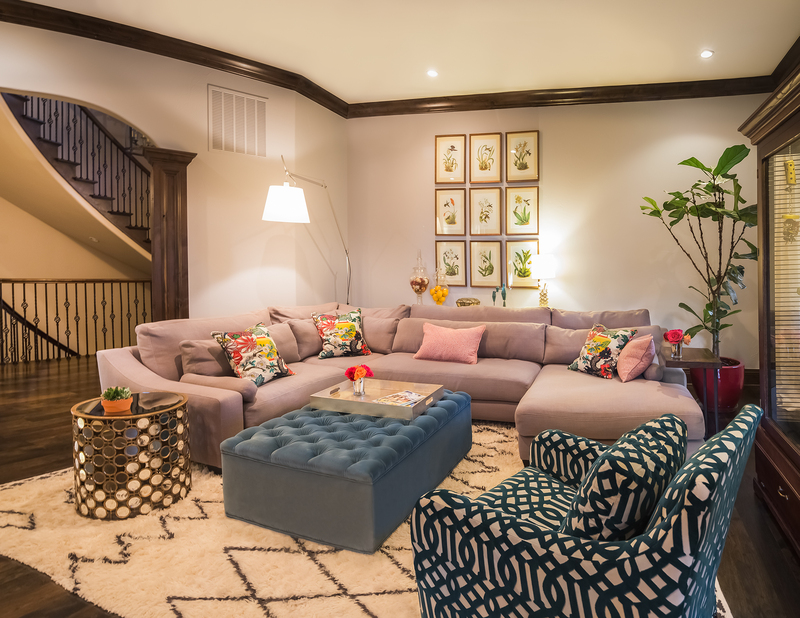 If you notice in the before photo’s the furniture is lined up against the wall – this can make a large room feel unpleasantly cavernous. Try moving your furniture in and away from the wall. If it bothers you to have empty space behind your sofa – put a console table there. We purchased an inexpensive Parson’s style table from Ikea and had it painted a bright yellow. It’s sitting underneath the botanical prints. 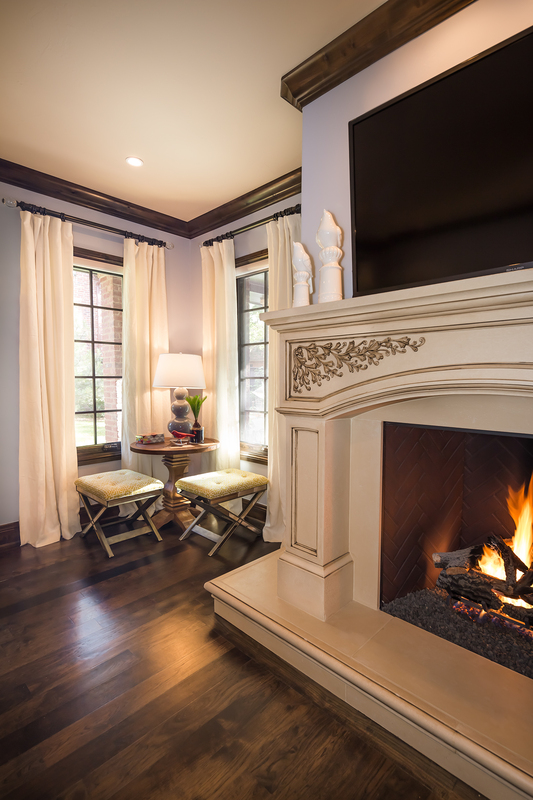 Custom X Benches, linen drapes and a new paint color help enliven the room. I used this potentially awkward corner as an opportunity to create a tableau of sorts with a more traditional styled round table with a ceramic gourd lamp on top.